RADNOR, Pa.--(BUSINESS WIRE)--Lincoln Financial Group (NYSE: LNC) announced today that it has been named one of the Forbes Best Employers for Diversity for 2018 and ranked in the top third of the companies assessed by Forbes. This inaugural list honors companies that demonstrate a dedication to diversity and inclusion, and follows Lincoln Financial’s inclusion in Forbes' "America's Best Employers" list last year. The list is a ranking of 250 employers across all industries in the United States, based on surveying thousands of employees and examining employer diversity policies, as well as diversity in executive suites and on boards. Lincoln Financial’s commitment to diversity and inclusion starts with senior leadership and continues with the engagement of employees at all levels. Visible advocacy and engagement of leaders are essential to integrating diversity and inclusion into workplace and business practices. In 2017, Lincoln Financial’s President and CEO, Dennis Glass, signed the CEO Action for Diversity & Inclusion™ pledge to reaffirm their ongoing commitment to a work environment where every employee feels welcome and appreciated for who they are and what they bring to the organization. The company’s inclusive values are further evidenced by other recent awards like the 2018 “Best Place to Work for LGBT Equality” and a perfect score on the 2017 Disability Equality Index. Read more about diversity and inclusion in Lincoln Financial Group’s Corporate Social Responsibility Report. Click here to view the complete list of 2018 Best Employers for Diversity. 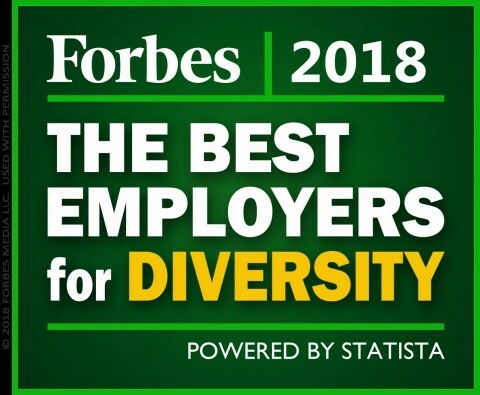 Forbes worked with research firm Statista to compile the definitive list of the best employers for diversity in America. Statista surveyed 30,000 U.S. employees in August 2017 to inform the list, asking questions about diversity, gender, ethnicity, sexual orientation, age, and disability. Responses among underrepresented ethnic minorities, women, and people aged 50 and older received greater weight in the ranking. Other factors Statista incorporated were the gender split of companies' management teams and boards, and whether a company proactively communicates about diversity. Lincoln Financial has been named one of the Forbes Best Employers for Diversity for 2018 and ranked in the top third of companies.